Most roughnecks are proud of the iron they work on. We’re no exception. Our rigs are some of the best in the industry – more than 85 per cent of our fleet is made up of modern, high-performance rigs. Here’s a peek at some of our favourite shots of rigs in the field and new iron being built in the yard. Take a look at some of our land and barge rigs operating around the world. Trinidad Rig 56 illuminated in the northern B.C. sky, photo from Cory Barrett via Facebook. Do you have a great oil-patch picture? Share it with us on Twitter or Facebook (just stay safe while taking them, of course). 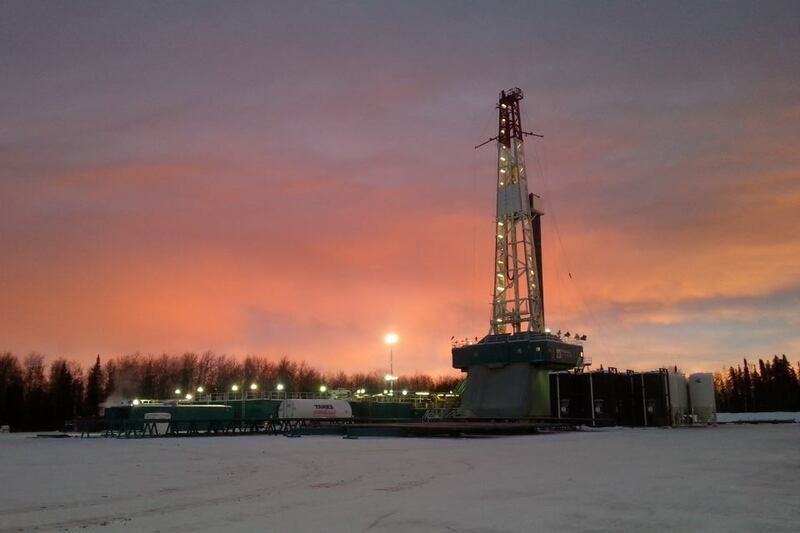 We are proud of our rigs and the crews who work hard to keep them drilling. That’s why we’re committed to continuously improving our fleet and investing in our people. Want to work on one of the rigs pictured in this post? Apply for a job with Trinidad Drilling today.